What Is a Pest Control Professional? Call it a pest management professional, pest control technician, or simply the age-old descriptive–though rarely used today–exterminator. Regardless of what they are called, it's an occupation that more people seem to fall into than grow up yearning to become unless one is born into a family that owns a pest control business. There are 62,490 pest control workers in the U.S. The mean hourly wage is $15.62 per hour. The mean annual wage is $32,480 per year. The vast majority of workers (59,390) provide services to buildings and homes, while the rest work for government, schools, employment services, food manufacturing, or other support services. The highest mean wage goes to those who work for the federal government, although less than one-tenth of one percent (about 260 workers) have this job. According to BLS statistics (as of February 2011), only 5.5 percent of all pest control workers are female. However, this is up from only 4 percent in 2008, and it can be expected that this percentage will continue to increase. As a pest control professional, one should expect to get down and dirty on a daily basis. The job of the professional is to do exactly as its name states: to control or manage pests. Or, as described by the BLS: "Unwanted creatures that infest buildings or surrounding areas can pose serious risks to health and safety. Pest control workers remove these creatures from households, apartment buildings, places of businesses, and other structures, to protect people and maintain structural integrity." Businesses and homeowners may call on a pest control professional for any number of reasons, including the elimination of ants, beetles, termites, cockroaches, and management or removal of squirrels, snakes, and birds. Because the method of control or elimination is different for each pest, pest control workers have to be able to readily identify individual insects, rodents, birds, and wildlife; know their biology and habits; and understand proper techniques, in order to provide safe and effective control. 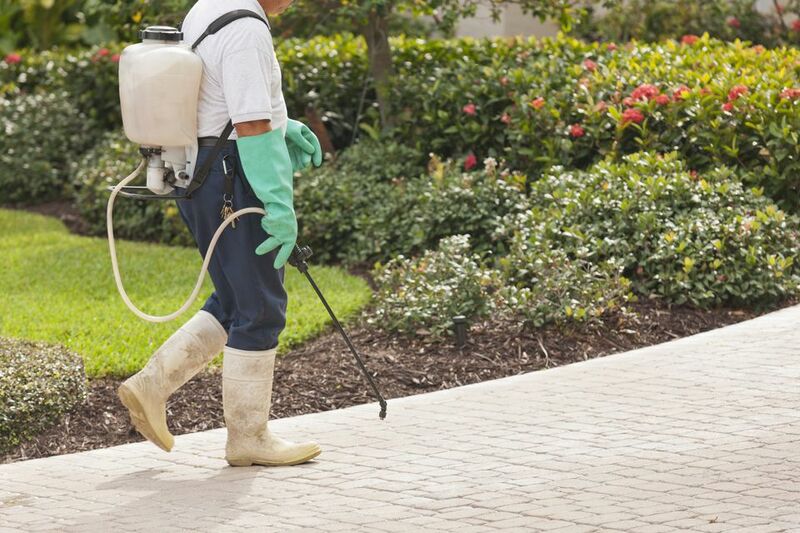 In some cases, pest control professionals can control or eliminate pests without chemicals, but most often, a pesticide application will be necessary. Because some of the chemicals are EPA-registered as restricted use, the pest control operators have to be licensed and certified by the state in which they perform service. Obtaining a license generally includes documented training and passing of a state examination. Because the license and certification have to be renewed, pest control technicians must also maintain their knowledge through continuing education. In addition, because federal, state or local regulations vary for each pest, pesticide, application method, and area of application, pest control workers must be well informed and up to date on all these areas. Most pest control workers start out as technicians, whose job it is to work directly with the customer to provide service. Because some control applications are so specialized, many technicians also have specialty roles, such as termite control, fumigation, wildlife management, etc. There are generally few requirements for attaining a job as a pest control worker; however, many companies prefer that applicants have completed high school. This is partly because further training and education will be required, so hiring applicants with at least a high school background is beneficial for both the technician and the company. Job listings for these positions will generally include such requirements as well as any other prerequisites for employment.